**Dr. Pham and Dr. Vo see patients ages 6 months and older** Dr Pham and Dr Vo were born in Vietnam and raised in Fort Worth, TX. 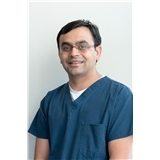 They attended the University of Texas at Arlington for their undergraduate studies and Baylor College of Dentistry for their Doctor of Dental Surgery degree. Both Dr. Pham and Dr Vo are very active in the community and donate their time to several organizations. 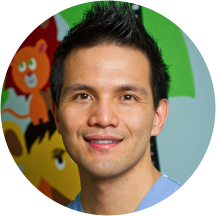 Dr Pham volunteers at Mission Arlington and Dr Vo provides dental care at no cost to children with the Save a Smile Program. They also work hand in hand with Communities in Schools to help families acquire the needed financial assistance to take care of their dental needs. Dr Pham and Dr Vo’s goal is to give back to the community by providing preventative dental care to parents that otherwise could not afford to get these done. When they are not practicing their passion for dentistry, Dr Pham and Dr Vo enjoy being with their families, working out and playing racket ball. Dr. Mike is great and has a great staff! Dr. Pham and his staff are outstanding. I had an awesome visit with Dr. Pham & his staff, they are extremely caring people who all do their job very well.. Dr. Pham did an excellent job on my root canal & he spent a lot of time withme examining my teeth & attending to all of my needs.. I felt very relaxed my entire visit because the DA's are very warm & caring & always made sure that I was ok.. Before my first appointment I felt like my teeth were ruined & it made me feel sad & ugly but after Dr. Pham's worked on my teeth I feel pretty again & anxious to smile :) Dr. Pham treated me as if I were his own family member, he truly listened to all my needs & I HIGHLY recommend him as a dentist! It was a pleasant visit.. Very polite & fast paced. Dr. was referred to me by a co-worker and I'm very happy that she did. The staff and doctor were very professional, listened to me as I explained my concerns and addressed my concerns right away! The lobby/waiting area was neat,clean and inviting. It was very busy, but the staff was so efficient, they kept everything moving quickly, but showing attention to each patient waiting and to those entering the office. Dr. C is great and caring. Knows what she is doing. And the assistant that helped her during the procedure was awesome. Very informative, and very helpful. Everyone here made me feel comfortable and welcomed. Really patient doctor and staff, they are all very kind especially when you are in pain. I would definitely return, they are very understanding and helpful, they think about you as they plan your treatment to get you the best care for the best amount for your budget. I think they are very good at what they do...no pain, and prompt...nice, clean environment! The staff is warm, efficient and supportive. This office is courteously and professionally run. Dr. Pham is compassionate, knowledgeable and likeable. I trusted him immediately. Dr. Pham is an excellent dentist he immediately took care of my crown after a different Dental company messed it up for me he was very kind and did a great job repairing it for me. I will always return back to Dr. Pham for his expertise work. Dr. Pham is great. He was very gentle and concerned about my comfort. I will return to him for any future problems with my dental health. He is wonderful and makes sure your are comfortable and walks you through each step! Dr. Pham and his staff made everything about the visit worth it. When seeing a new dentist your nerves get the best of you but he made it so worth it. He was awesome! ! And all the nurses!! Have been coming to this dentists office for maybe a year or so and have not really had any issues thus far. The only problems i have had are minimal to other situations i have had other places. you are notcalled in for your appointment time, this last time i waited almost 45 minutes until i was called in to a room. the receptionists speak Spanish, and have personal conversations while there are patients in the waiting room... I dont mind that they speak their native language; just when i ask them a question and they tell me to hold on one minute... that is rude... i come first... your personal conversations can wait until your break; or until you are finished with work or even once all your patients are being cared for. the other thing that bothers me, and this is the last thing: the Techs that help the doctor... their nails are really long. per health code they should not be too long and they need to be trimmed... theirs are not... the tech i had this time even said, "i feel like i am poking your mouth; you okay"? that is a slight issue... other than those few things they are nice, and take decent care of us... and the prices are decent... and if you have insurance it is affordable. I'm very impressed. I will recommend my friends to him. Very understanding of my sensitivity to pain. Excelent dr. And very fast at his profesion. Excellent doctor , not matter if you have insurance or not , paying now or later, he took the time to listen and advice me . Will come back ! Very satisfied! Since I was a new patient there was some paperwork I needed to fill out, so that took a few minutes. As soon as I handed it back to the receptionist, I was called back in about 5 minutes which wasgreat! All of the dental assistants were very friendly and answered any questions I had for them when Dr. Pham was not around. Dr. Pham was very clear as far as explaining the situation going on in my mouth and what we needed to do to take care of it. I appreciate the breakdown of costs that they provided me, and how much it would cost with and without insurance. Goes to show, insurance goes a long way! The staff and dentist always made sure I was comfortable. I would recommend the laughing gas, it helps calm your nerves a little from having to be at the dentist in the first place! :) Good overall experience, I'm excited to make Dr. Pham is my new dentist! We ray saw the Pediatric dentist who recommended we pull our 3 year olds 2 front teeth as if it was an easy decision and no other options were available. After, asking more in depth questions she finally told about anotheroptions but said we would have to come back AGAIN because she didn't have TIME to do the procedure to save my child's teeth after we sat for over 2HOURS.... We had an appointment Monday... 2 on Wednesday of the same week another appointment was scheduled with the Pediatric Dentist were again we sat OVER 2 hrs only to be rescheduled until DECEMBER..... Worst experience ever!!! Great! I went in for a new patient consultation and was able to get all my work done in one day. Highly recommended! Reasonable prices with payment plans available. Very professional and quick. Also down to the point. Will return. Caring and professional staff. Clean environment. Great teamwork. Pham,DDS. was patient and thorough. The visit was absolutely amazing. The staff was very friendly and professional. We were in and out in less than an hour and that was with having an extraction. Love this place and this team, you guys ROCK. He gets to the point, and gets done quick. He gets done quick, and the dental assistants do a lot of the work, and he does the dentistry work. They put you on laughing gas, I suppose to calm you. Itcomes me, while I'm waiting the dentist chair.! Appointments take between 1hr - 1hr and 30min. Dr. Pham and his office staff are very courteous and caring to all the patient's. I was very pleased with the care I received. Doc was attentive to what I was concerned about first, then addressed issues he observed during examination...THAT WAS A FIRST for me in a long time! From the time I walked in the door the staff was very attentive and professional. I had the Zoom teeth whitening which was FABULOUS!! The staff and Dr. Mike are top notch! The staff was wonderful and kind. Dr Pham was great!! I would recommend this office to anyone!!!! It was good and he was honest and straight forward. Also affordable and willing to help his patients, with great options for those without insurance. The wait was a little while, but most doctors offices are like that. It would be superb if y'all could have the patients in and out. Dr. Pham was excellent and had perfect people skills. I like his outgoing personality the most.! My visit went smooth all of the staff was extremely nice and concerned. I would recommend this place to any. My overall experience was great. I didn't mind the wait because the chairs were comfortable and the atmosphere is just relaxing. I was very nervous prior to treatment due to a previous experience, but now my fear of the dentist has been resolved thanks to Dr Mike and his staff. Not having dental insurance makes it hard to find a dentist that will allow you to make payments. Dr. Pham's practice allowed me to do that. Dr. Pham and his staff are Great!!!!!! we love dr pham!! nice caring and great at what he does! He is an amazing doctor. Would recommend him to everyone I know. Dr. Tri (Mike) Pham, DDS has no appointments on Zocdoc right now.